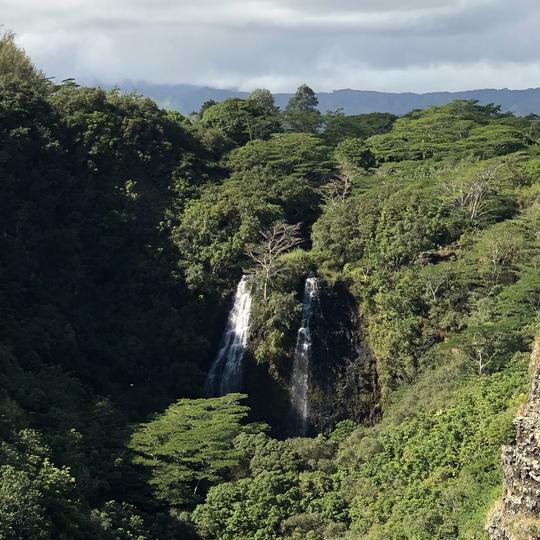 Opaeka'a, strangely enough, translates into “rolling shrimp”—a seemingly odd name for these majestic 151-foot tall twin falls (which combine into one during heavy rains) in Wailua River State Park. 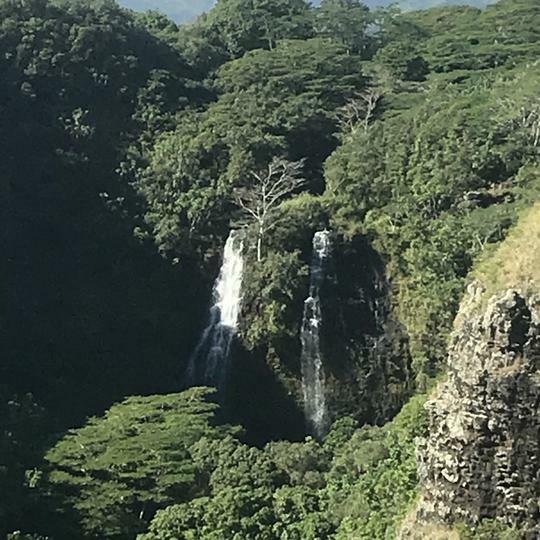 The falls get their name from the native freshwater shrimp that, at one time, were so plentiful in the river that they could be seen tumbling down the waterfall and plunging into the waters below to continue their journey along the Wailua. 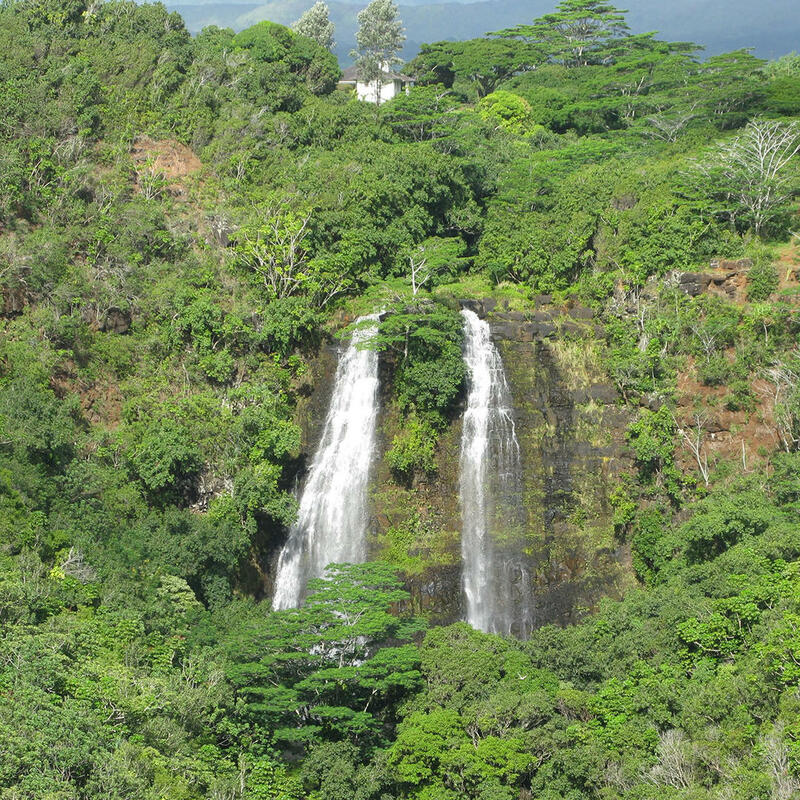 You don’t need to hike to see these falls as the overlook is accessible from the highway. However, you might want to bring your zoom lens and/or binoculars as the overlook offers a rather distant view of the falls. 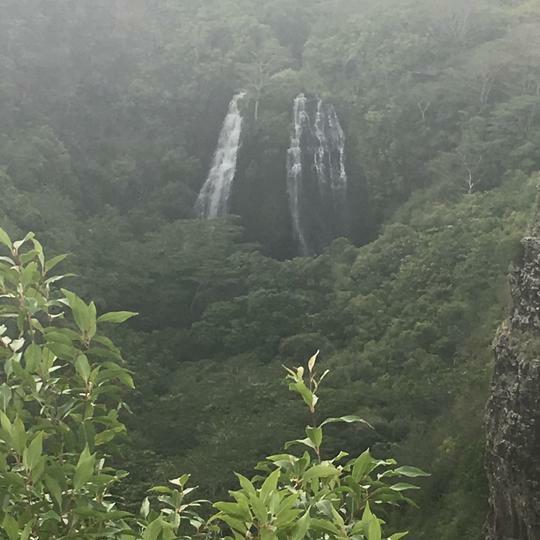 Also, while there, make sure to cross the road where you’ll get a better view of the Wailua River.